*Please continue to check back for updates. Xcel Silver is broken into 2 sessions. How do we know which session we compete in? 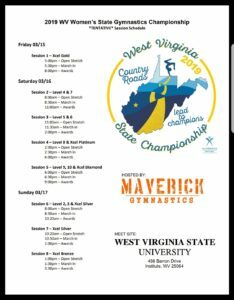 This information is posted on the main page of wvusag.com. This list will also be provided to each club. Is this now the final sxhedule? I only see a temative schedule posted. 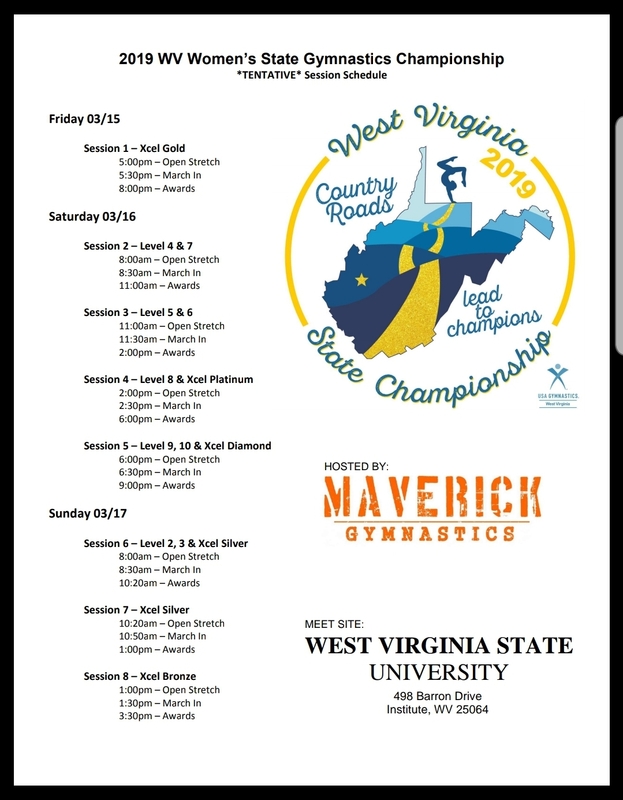 Yes this is the final schedule with 4 sessions on Saturday. Times will be available soon.